Not everyday that a feeder sinks whilst alongside but it happened this time at Bandar Abbas a port in IRAN. We are reminded that things can happen and quickly at that. There are sometimes elements that we cannot, as humans always control or the problem is the human element itself…. I visited the iron ore production facilities of BHP in Newman, Australia and the control office of Rio Tinto in Perth a few years ago as part of the Western Australia’s first ever minerals and resources tour. I was the only shipping-man in the delegation. We even visited Barrow Island where Chevron built a massive gas production facility. Compliance is a buzzword nowadays and ne that we will hear more and more as we are counting down to new rules and regulations (of course we never remove any rules or regulations we only add ….) governing IMO 2020. Interesting article here from Loadstar. 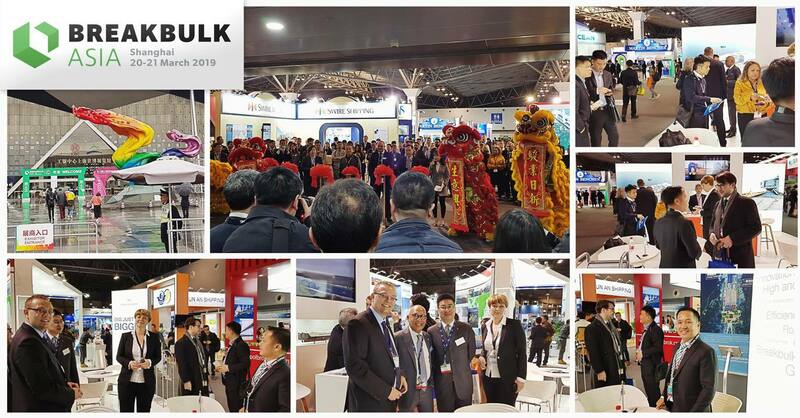 And by the way dont forget to file your method statement before you go to the bathroom or you are not in compliance..
Breakbulk expo in Shanghai was on last week. Had the chance to discuss in depth with the director of COSCO Guangzhou in charge of their breakbulk tonnage and learning a lot about their expansion plans. Once COSCO get their marketing right worldwide they will be an even more formidable force in the field of heavylift and breakbulk shipping globally. They will according to reports set up a new European office soon to control all quotes in/out of the “old continent” so keep an eye open for that.